Read the first part of the review here. Obviously this review is very selective. I have read certain portions of MEV, and my wife and I have used it for devotional reading the past week. This is a preliminary review and deals with critical texts. Thus, the text critical issues for MEV are already decided. I think it is good to have translations based on TR; I have used NKJV often over the past 33 years (my Greek professor was one of the translators of the NKJV). So I will not address text critical choices in this review. Rather the focus is on the translation of the original language text used; in most cases I include the NKJV rendering because of the similarity of source and goal of translating. Note, too, that most of my comments regard the New Testament. I find it interesting that the MEV translators desire to have “formal correspondence,” but do not follow that in this text, in fact following the NIV translation, which is inconsistent about translation approach. Even GW and NLT are more in line with “formal correspondence” than MEV in this text. In v. 1 NKJV puts “is he whose” in italic, meaning that the underlying text does not have the pronoun, but is added for clarity. NAS does the same. 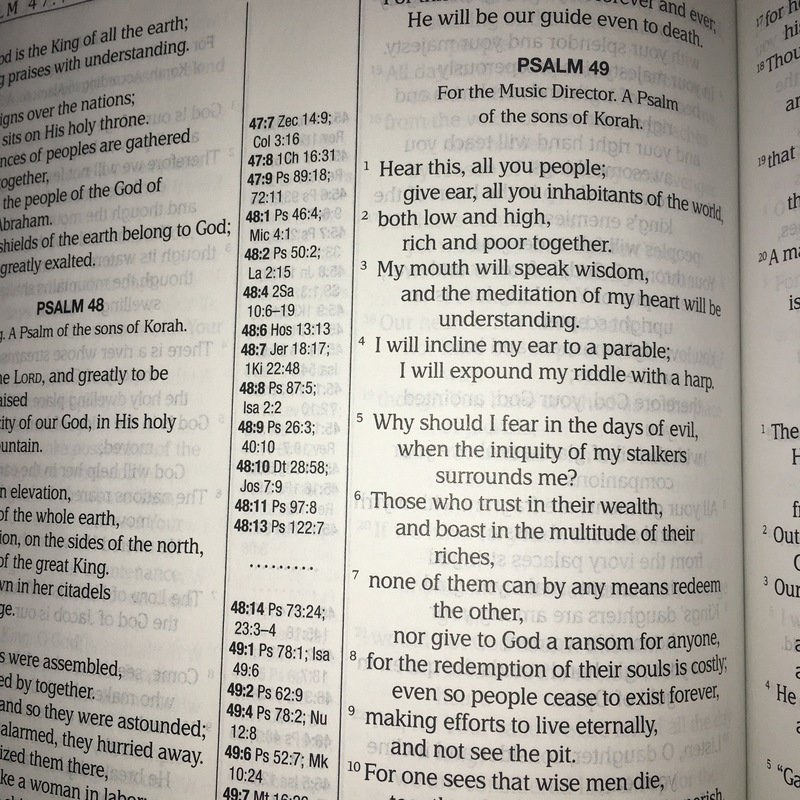 NIV uses singular/plural mix with pronouns which can be confusing. NRSV changes everything to plural, which changes the sense of the text. I think the best translation is GW of this text. and whose sin is pardoned. Note, then, this is not a critique of the MEV per se, but every translation that desires to maintain a traditional approach to generic nouns and pronouns. Unfortunately most of the NAS/NKJV/MEV/ESV choices do not consistently handle this topic. This is a text that is often loosely translated that can change the focus (including ESV, NIV). Thus, the MEV translation catches the future nature of the forgiveness, but the relationship of the “on earth” and “on heaven” timing is muddy. The question is how to translate the Greek , θυρωρῷ. Is “porter” an appropriate modern translation? Other translations use “doorkeeper” (NKJV/NAS/HCSB, etc.). For me, “porter” no longer has the sense that is indicated by the Greek. As my wife and I were reading this a couple nights ago, the only thing that word brings to mind is Johnny Cash’s song”Hey, Porter” referring to one working on the train. And that song is 60 years old. Not very modern. The question here is how to translate the present/perfect tense of the combination, ἐστε σεσῳσμένοι (“you have been saved” or “you are saved”). The perfect can indicate that something which has happened in the past is still in effect. Note how there is considerable variety in translation this verse; in other words, which is emphasized: past action or the present reality? In the Greek, Paul wrote one sentence, 202 words (using NA-28). In the NA-27/28 editions it divides the section in four sentences. Note how English translations handle the sentences. The issue isn’t really about translating specific words. But how does sentence length and structure aid reader in understanding the underlying Greek? And even more, how does this work in an oral context (reading, preaching, teaching)? I have read about average sentence length for oral reading is about 30 words (or less). At the time that Lincoln gave the Gettysburg Address the average sentence length was 57 words. Even four sentences for 202 words is 50+ words for each sentence. Is sentence length crucial to proper understanding? Absolutely. How do translators then handle sentence structure to ensure understandability of the text itself. The question for translators is: how can the translation maintain the sense of the original language text in a comprehensible manner in contemporary English? This is a problem for all formal equivalence translations. The issue here is the placement of this verse relative to the preceding or succeeding paragraphs. MEV/NKJV/NAS/ESV place this verse as the conclusion to the preceding section. One challenge is that the NA text does not include the verb in 5:22. Thus, the obvious choice is to go back to the verb of 5:21 and continue that. For MEV and NKJV this is resolved by using TR, which includes the verb. But for other translations, there are three textual variants. Some (including TR) have υποτασσεσθε in 5:22 (or another variant: υποτασσεσθωσαν). While those two textual variants have about equal weight, there are a two major manuscripts, 𝔓46 B, that omit the verb totally. So, part of the problem is if there is no verb, where does the sentence belong in the context. Many translations have 5:21 as the concluding thought of the preceding paragraph (NAS/ESV/HCSB). 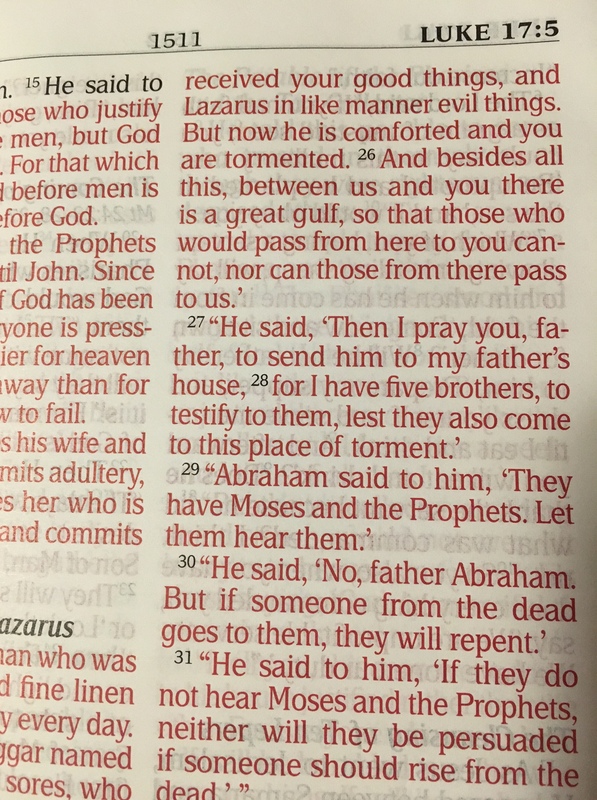 On the other hand, NIV/GW/NLT keep it as a separate thought, but connected structurally to next section. Notice that God’s faithfulness and righteousness/justness consists in forgiving and cleansing. Compare how NIV gives a false sense of this: “he is faithful and just and will forgive us our sins and purify us from all unrighteousness” as if there is a third element, separating God’s faithfulness and righteousness from forgiving and cleansing. and parallel texts regarding the Lord’s Supper are consistent with the Greek text and traditional renderings. is well done, again consistent with NKJV/NAS/ESV renderings. One last comment and that has to do with maps. 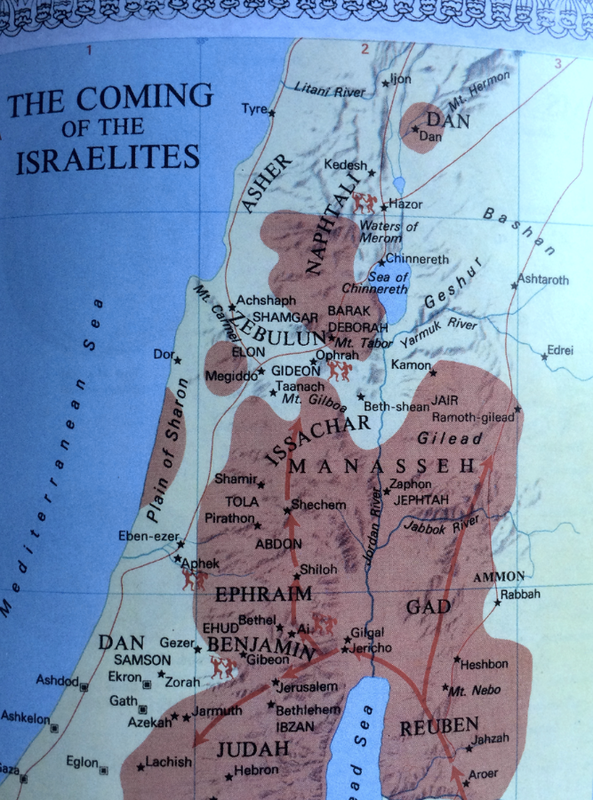 There are only 8 maps, but the common mistake is repeated here from many other Bibles. The maps themselves are too small and text size is even smaller than normal. 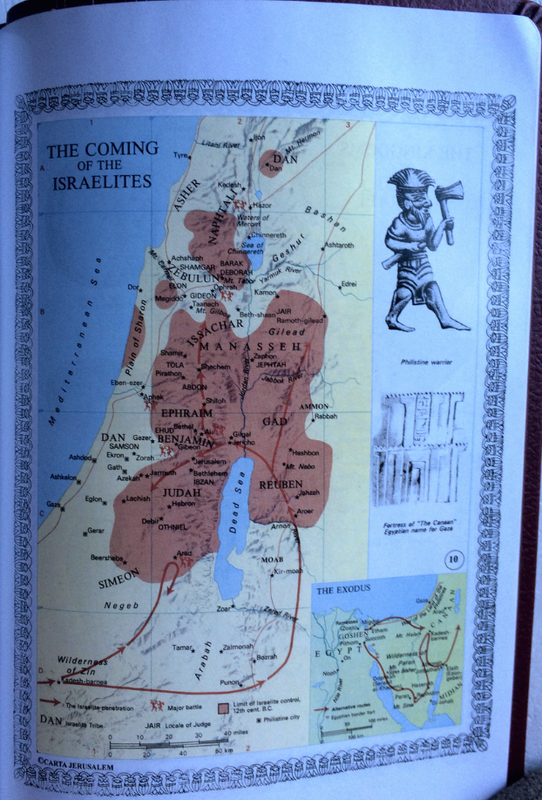 Note on this image that the margin around the map is useless, wasting space and not contributing to the legibility. And three of the eight maps do not have that border, and there is no logical reason for why it is included, not included. The second image is enlarged and so is much more readable than the original Bible. I would encourage the MEV translation team to extend its assistance to the reader. That is, MEV should include footnotes where NA and TR differ. NKJV does this, and it helps students of the Bible who do not have access to NA text. While I have some concerns about specific word choices and sentence length in a few cases, overall MEV is a solid translation. If I were to serve as pastor of a congregation using MEV, I would have no problem with it. In fact, I like MEV better than ESV. It has a familiar cadence of the KJV (i.e. Psalm 23) and would be well received in a liturgical environment. For the most part a very useable and reliable translation. I will continue to read this translation regularly, and we will continue in our devotional readings. That will give us a better sense of the translation and translation choices.